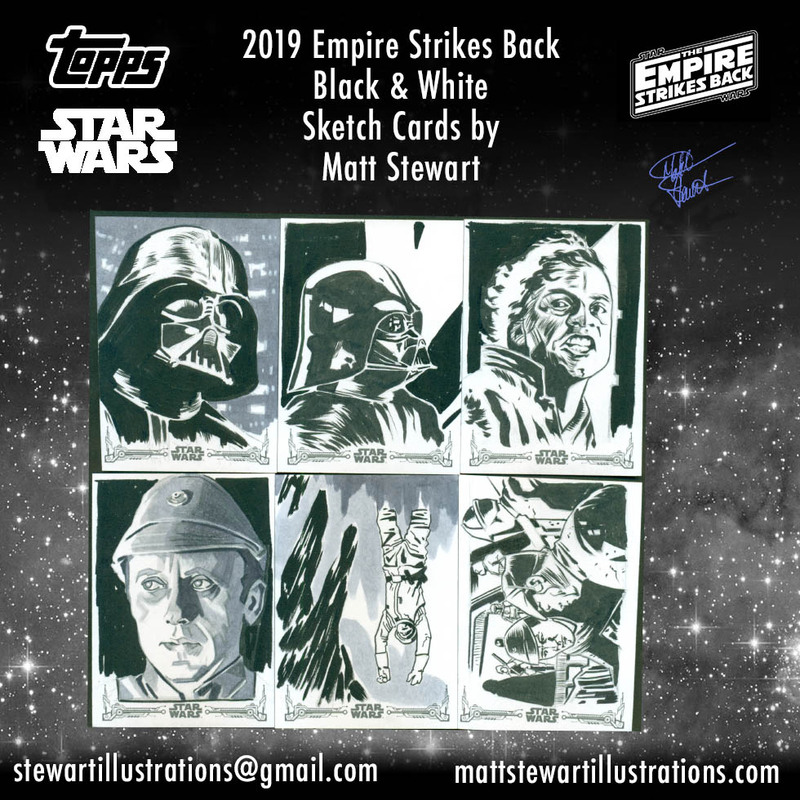 Topps Star Wars Empire Strikes Back Black and White Sketch Cards is a new Star Wars trading card set released this week from Topps that has some of my artwork in it! 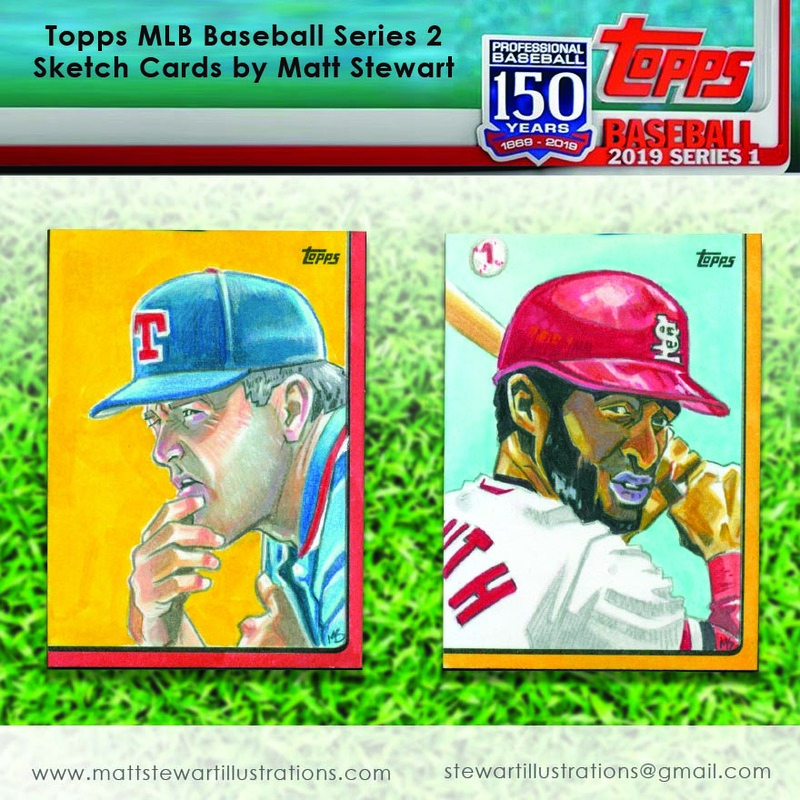 I’ve fallen well behind on posting about the trading card projects I’ve had the fortune to work on and wanted to get back into the swing of things with this one! 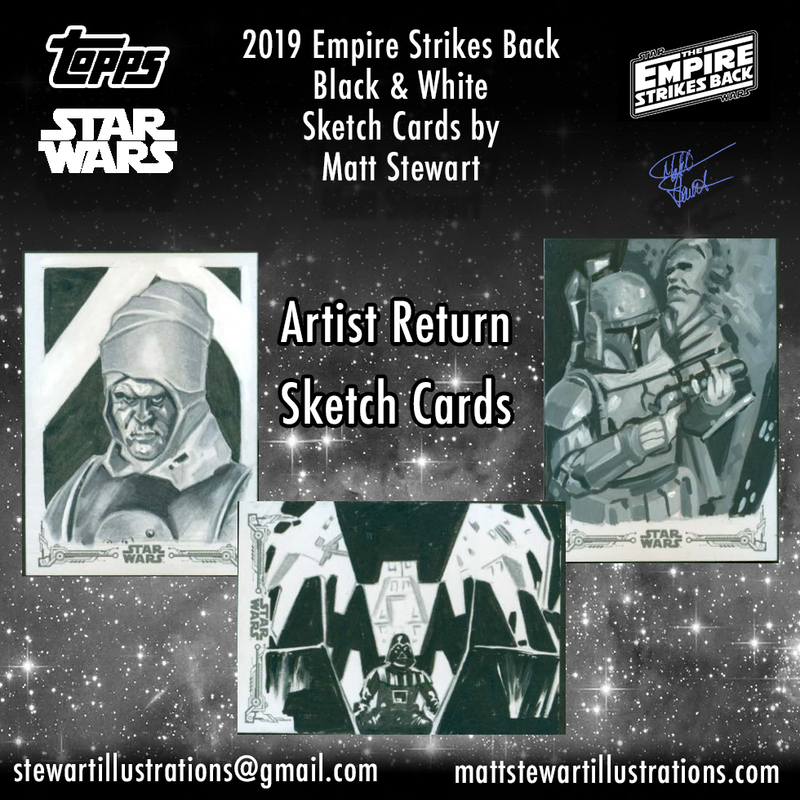 In all I created 35 sketch cards, all of which were in black & white or grey tones. 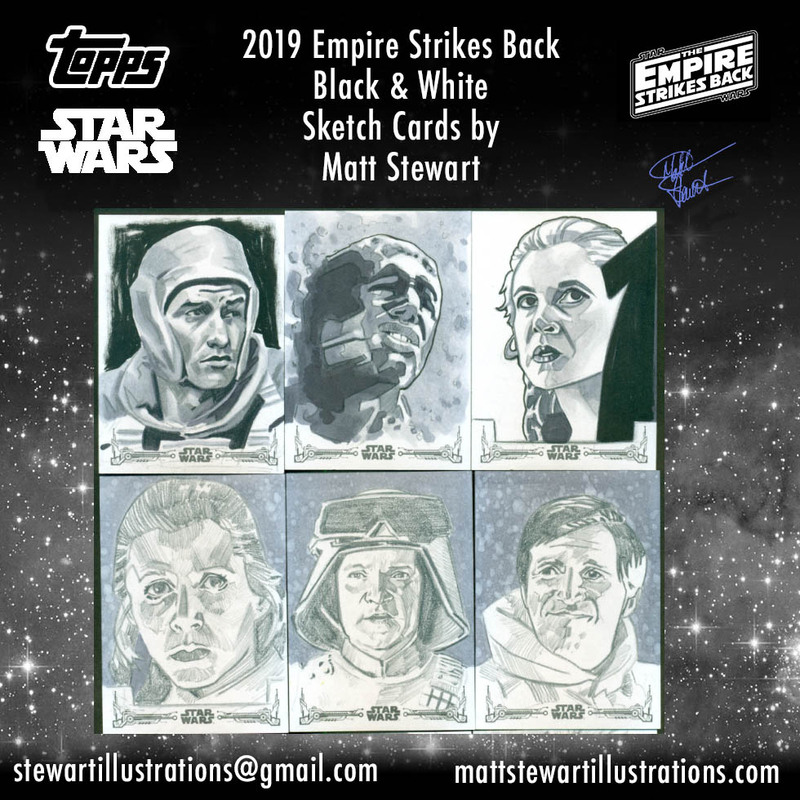 The trading cards for this set were also in black and white and follows in line with last year’s Star Wars: A New Hope Black & White set that I also contributed artwork to. 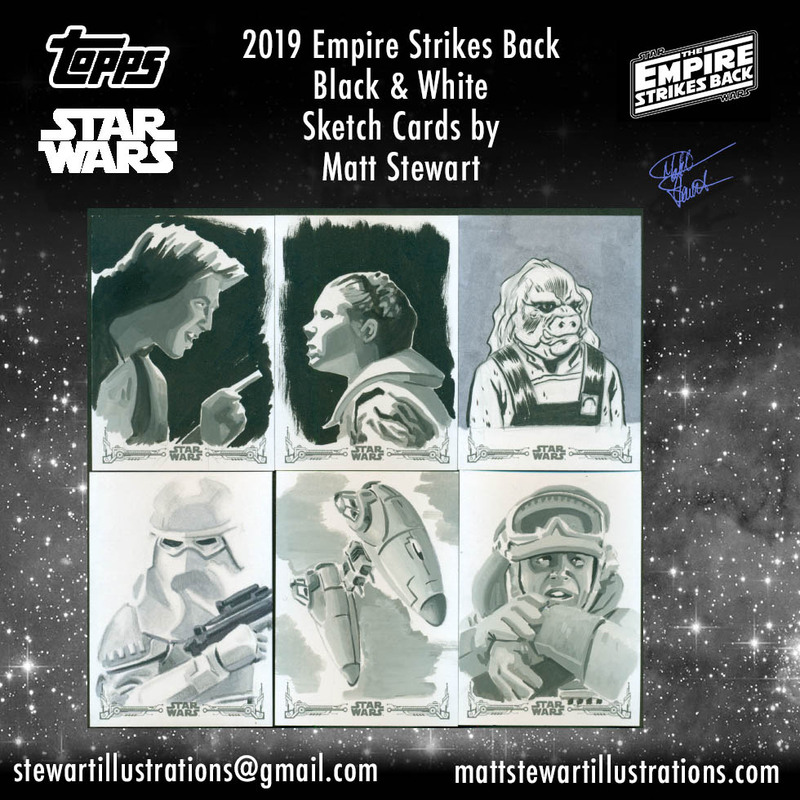 However, unlike last time, these sketch cards were all in black and white or grey tones. 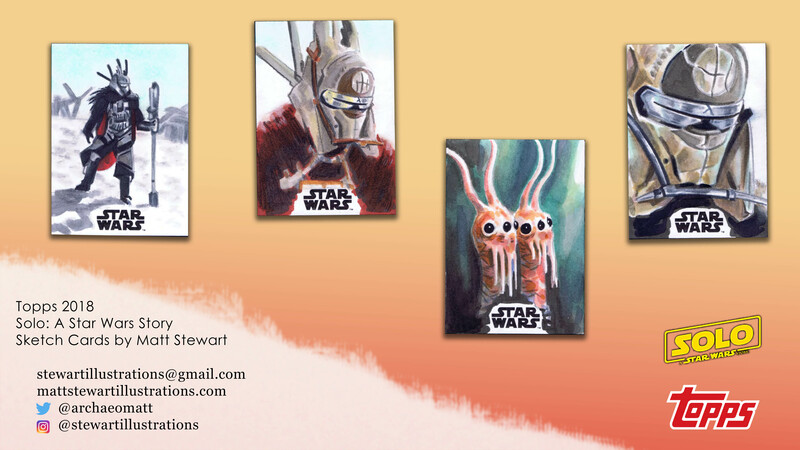 I didn’t do anything too fancy on these cards. For the most part I drew all of the big characters and a few smaller characters from the film. 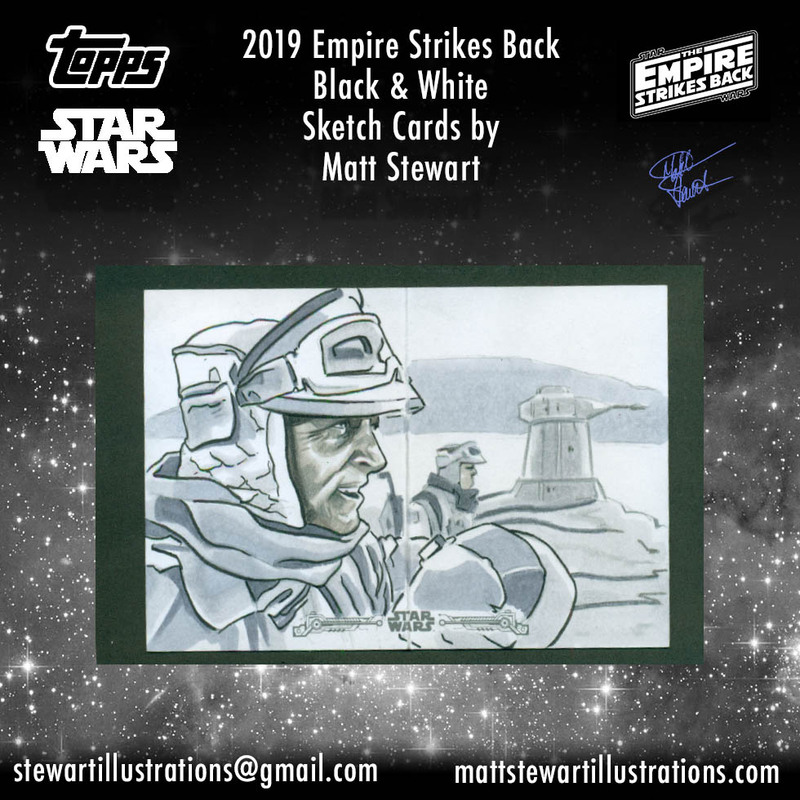 I was limited to only drawing scenes or characters from Empire Strikes Back, which honestly isn’t that many as all the other Star Wars films are loaded with background characters and aliens. Nonetheless, Empire is one of my favourite films and the Cloud City & Hoth battle scenes are ripe with great imagery. 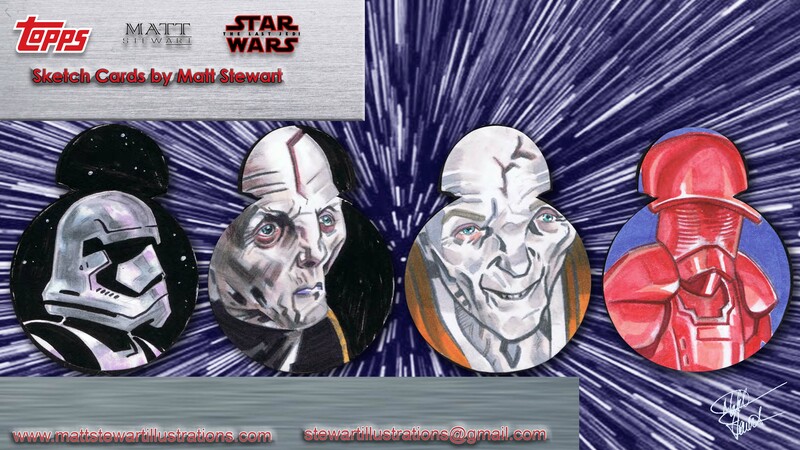 Below are my artist proofs, which are $115 each if you purchase them here. 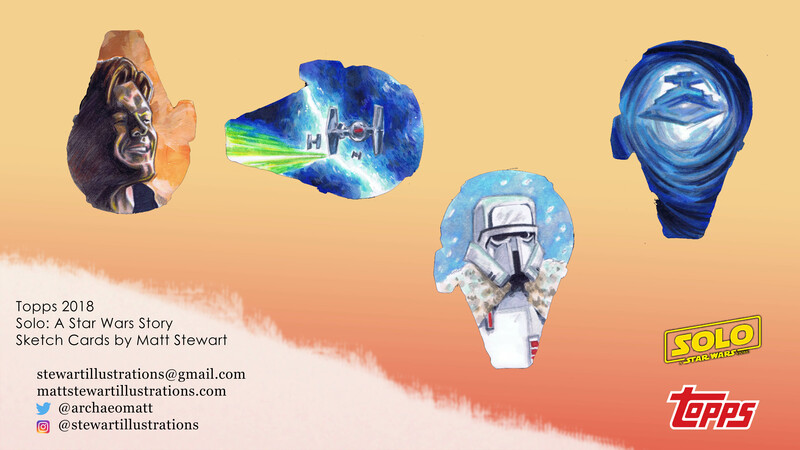 Just send me a message with which one(s) you would like and I can send you a PayPal invoice. 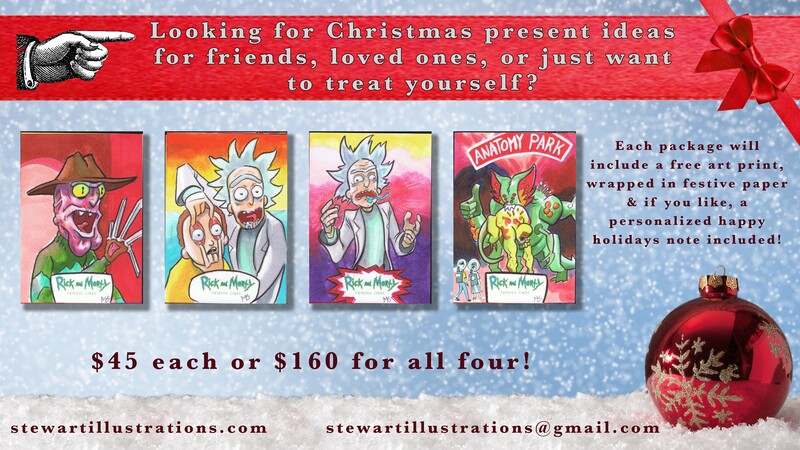 That price also includes your shipping & a free art print of one of my drawings! 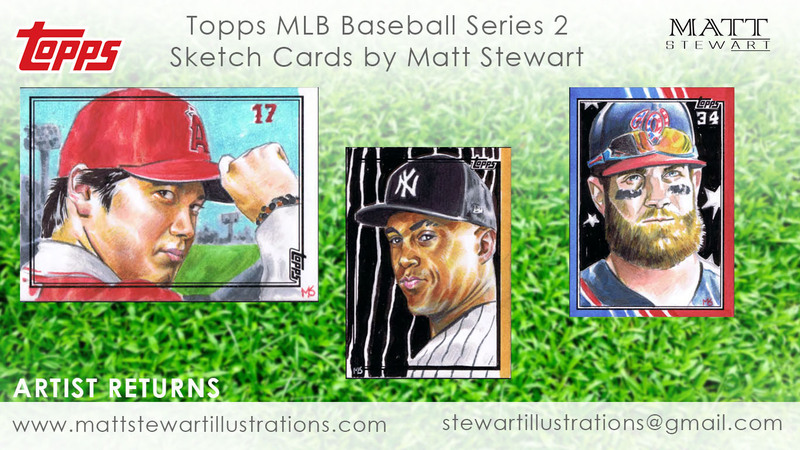 If you would like more than one, then I will drop the price to $100 each as well. 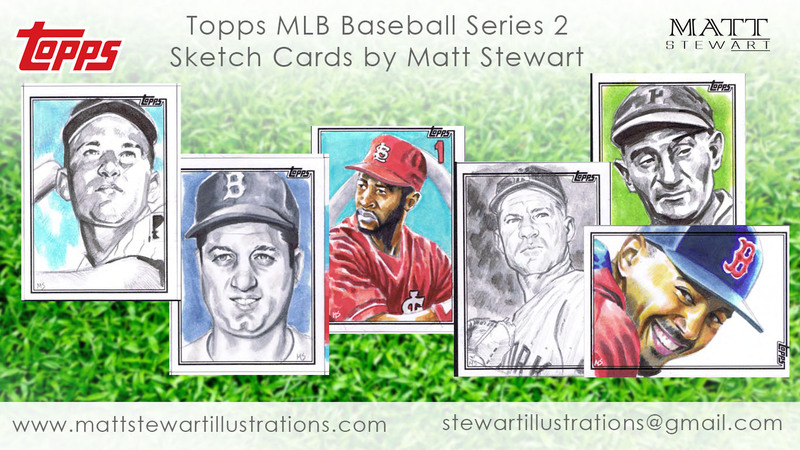 The images below are the cards that I created which were randomly inserted into packs. 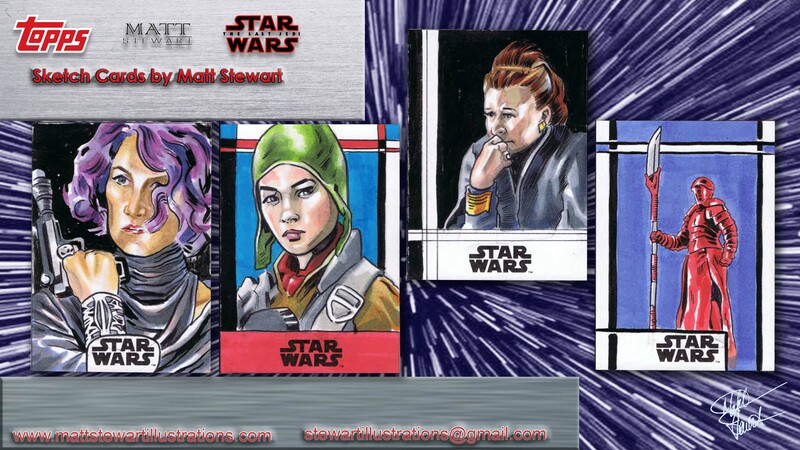 In addition to the regular 2.5×3.5″ sketch cards are shaped sketch cards and panel (double and triple) sketch cards. 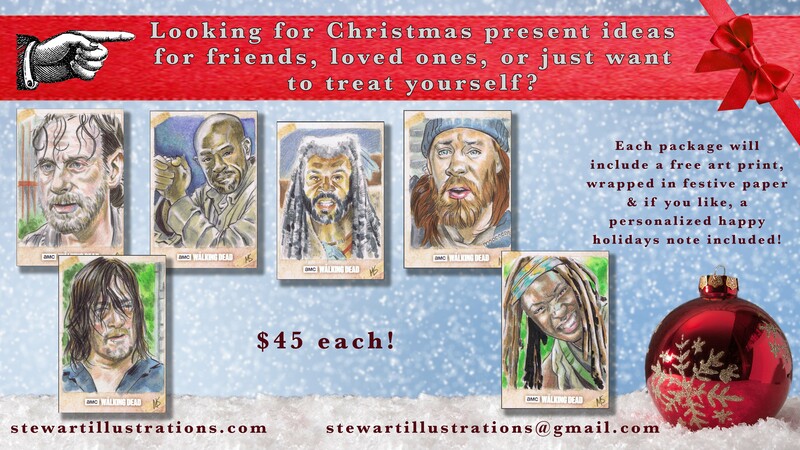 Holiday sale on my sketch cards! From new to old, from movies to comic books! 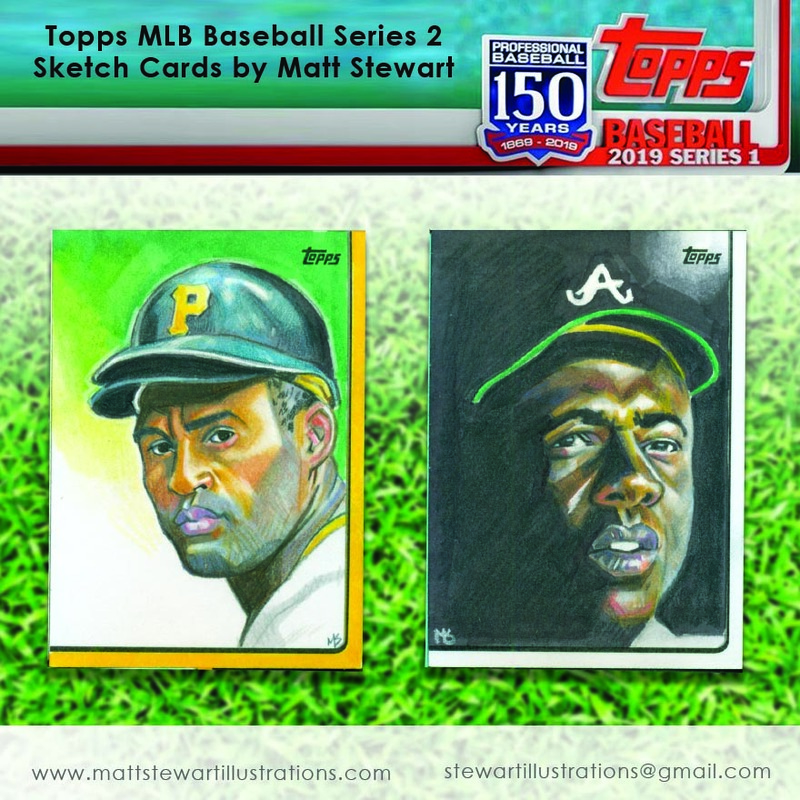 Prices are in US dollars and includes shipping. 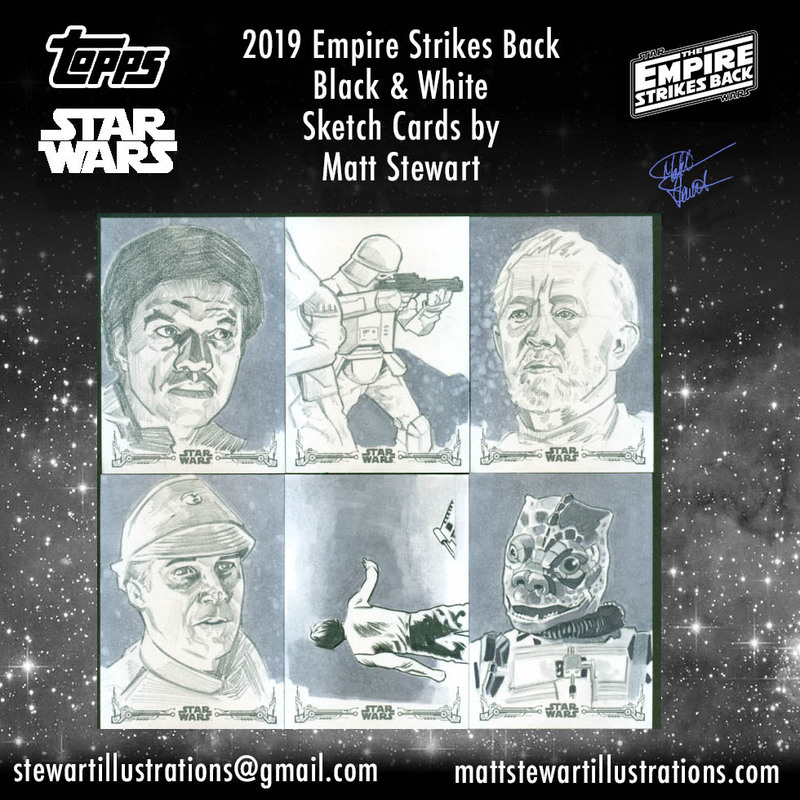 Each one is an original drawing for an officially licensed trading card set! 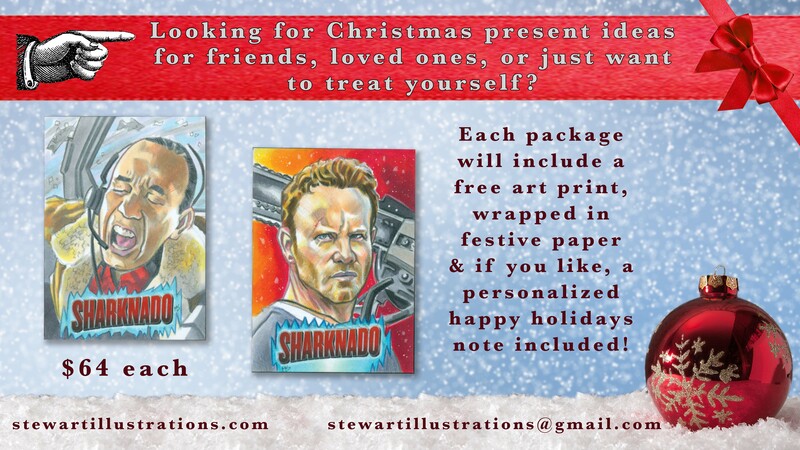 I also have others like Mars Attacks & Terminator that I haven’t included so please ask! 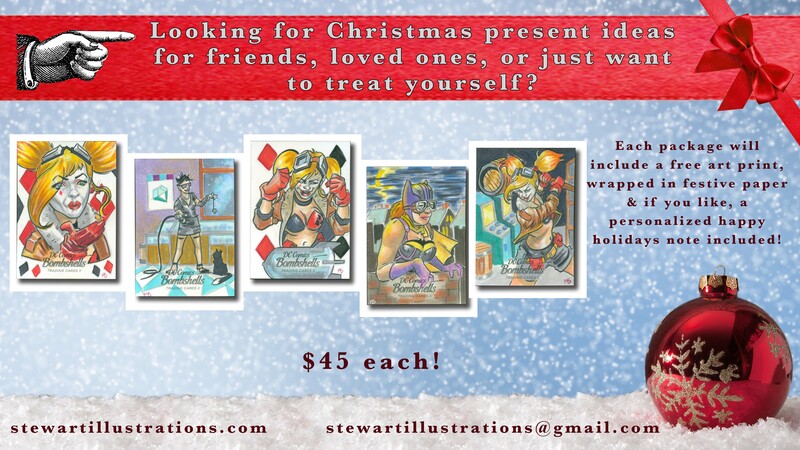 I can also wrap your cards in christmas paper and send it to who you want the present to go to! 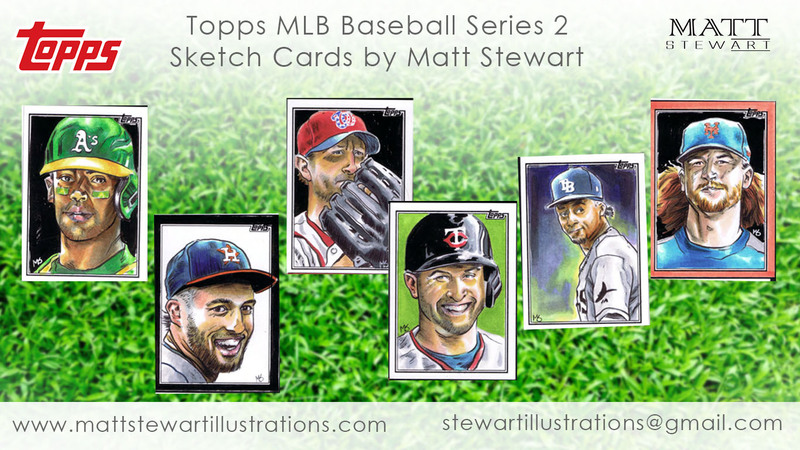 Each purchase also comes with a free art print! 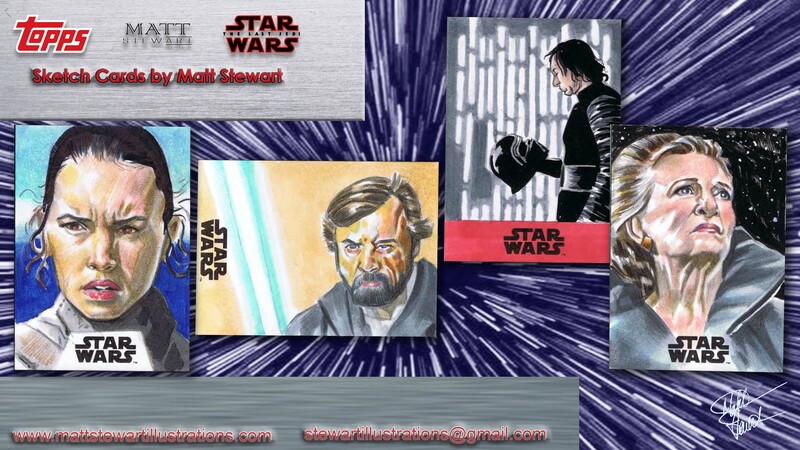 Brand New Star Wars: The Last Jedi Sketch Cards! 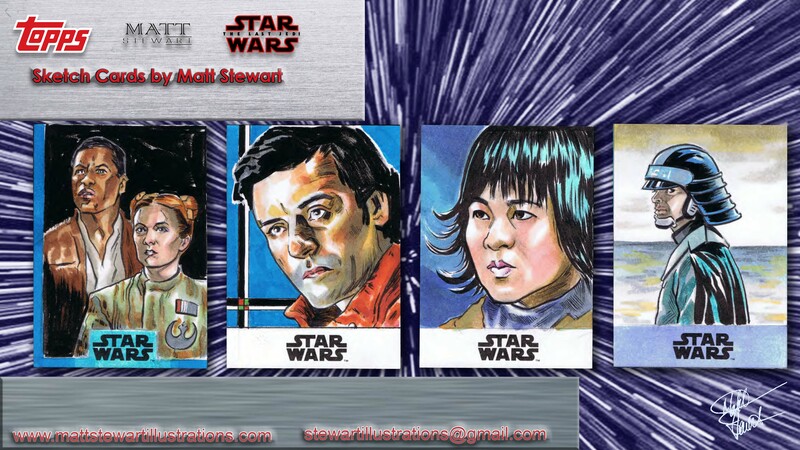 My seventeenth Star Wars trading card set I’ve had the privilege to create sketch cards for has just been released! This set was a lot of fun because I started working on it after the movie had come out in theatres, meaning I had access to a lot more imagery. I had also already seen the movie (and loved it! ), so was able to draw spoilers from it! 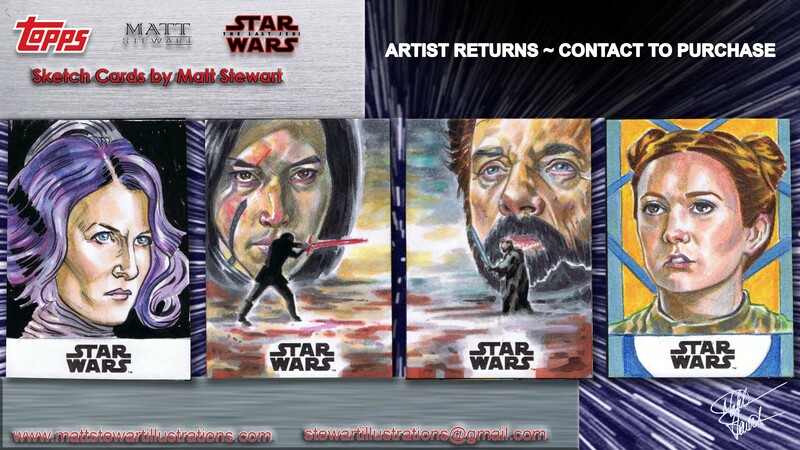 The previous The Last Jedi set was based solely upon imagery from the trailer. 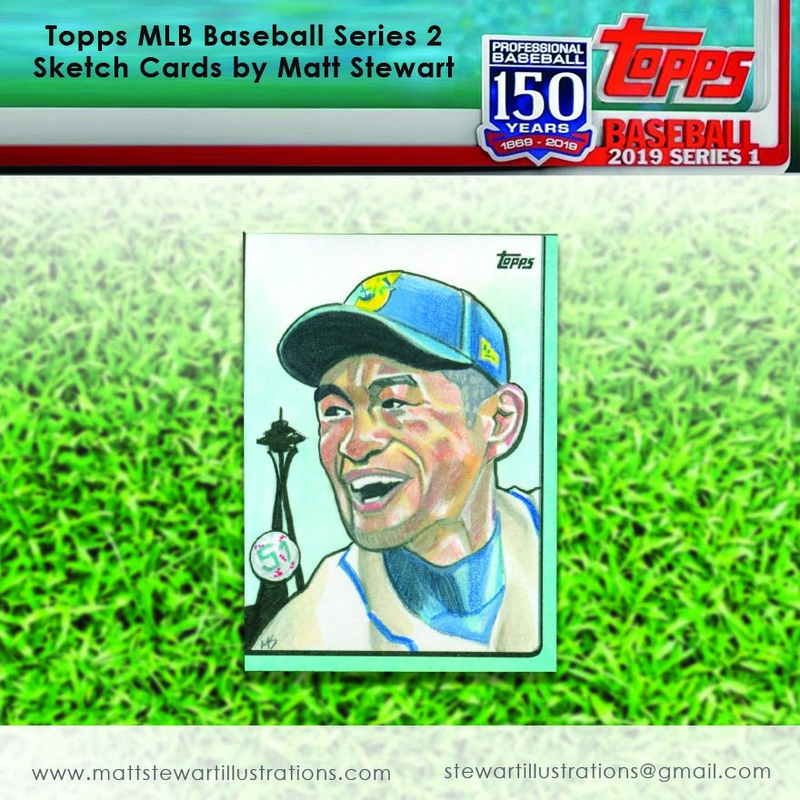 This is often the case with trading cards based on movies. For Rogue One it was a similar task where series 1 was based on the trailers and series 2 was worked upon a month or more after the movie’s theatrical release. 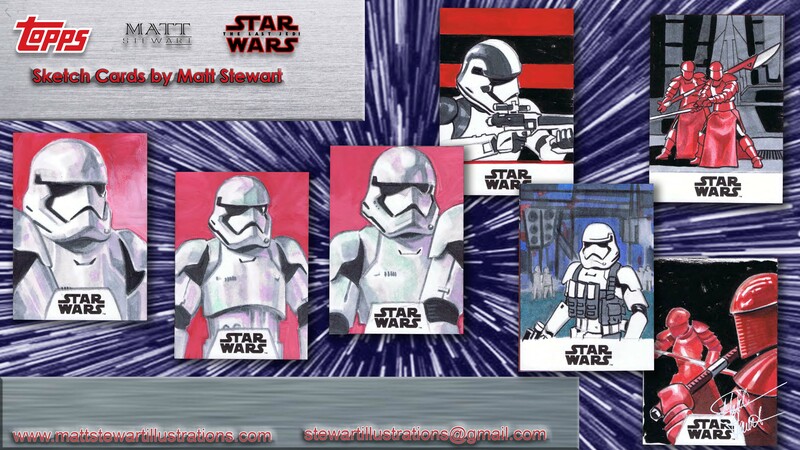 For this project I used my usual methods of some acrylic, some inked, and some with copic /polychromous pencil crayons. 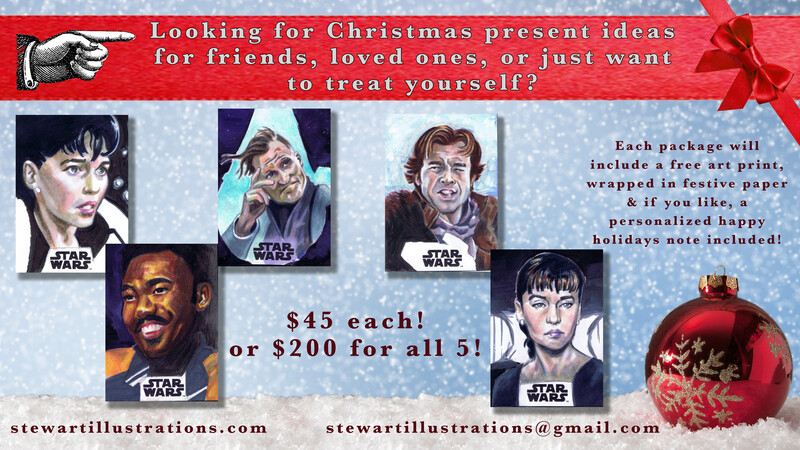 I have four artist proofs for sale form this project, so make sure to grab them quick before they’re gone! 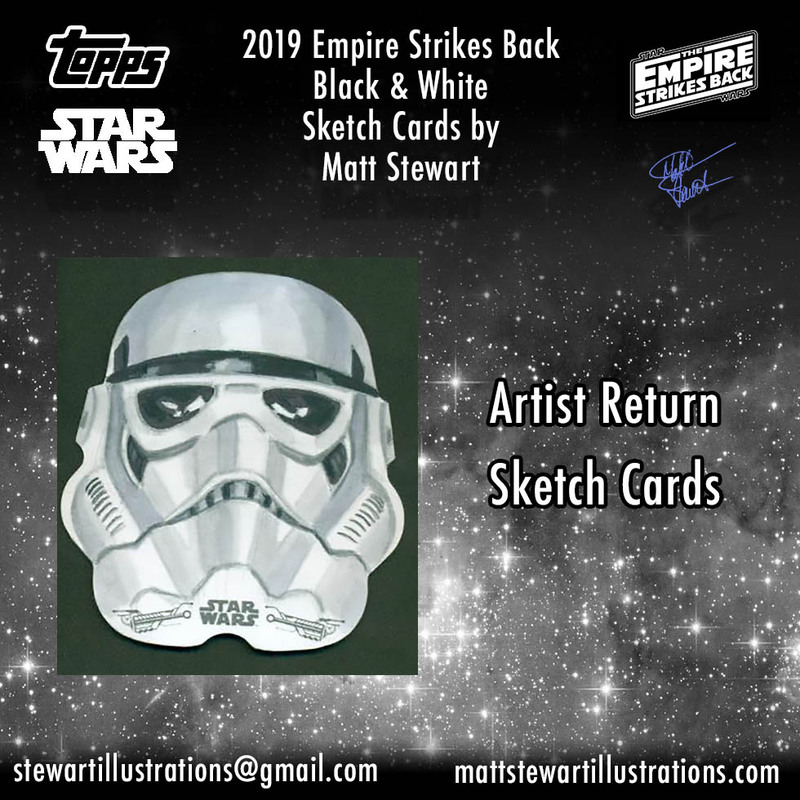 Author matthew stewartPosted on June 21, 2018 Categories sketch cardsTags artist returns, carrie fisher, movies, portrait, sketch card, star wars, the last jedi, topps, trading cardsLeave a comment on Brand New Star Wars: The Last Jedi Sketch Cards! 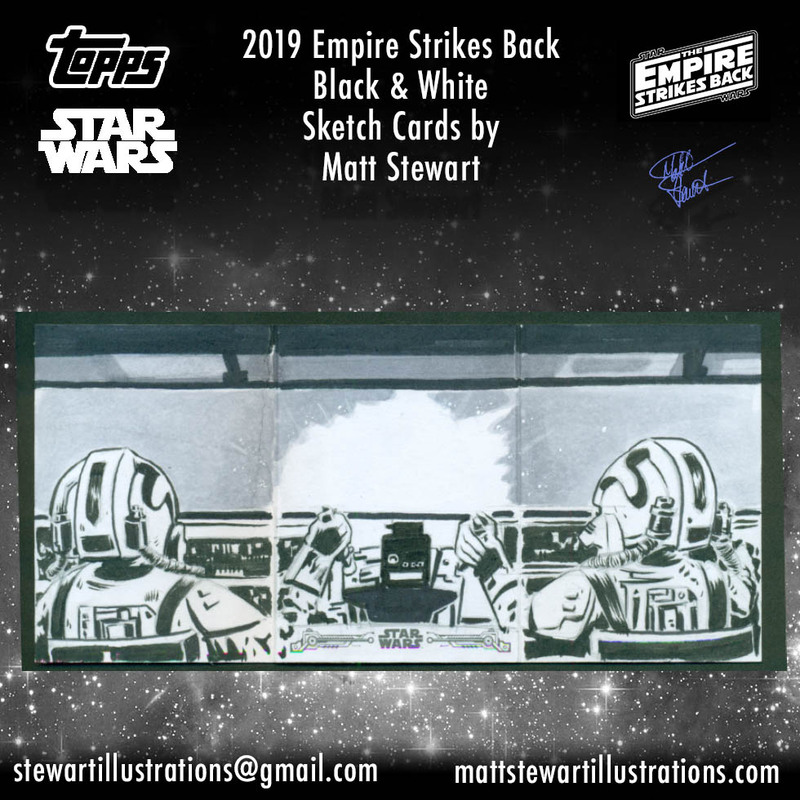 Topps 2018 Solo trading cards is the sixteenth Star Wars project I’ve had the pleasure of being on! 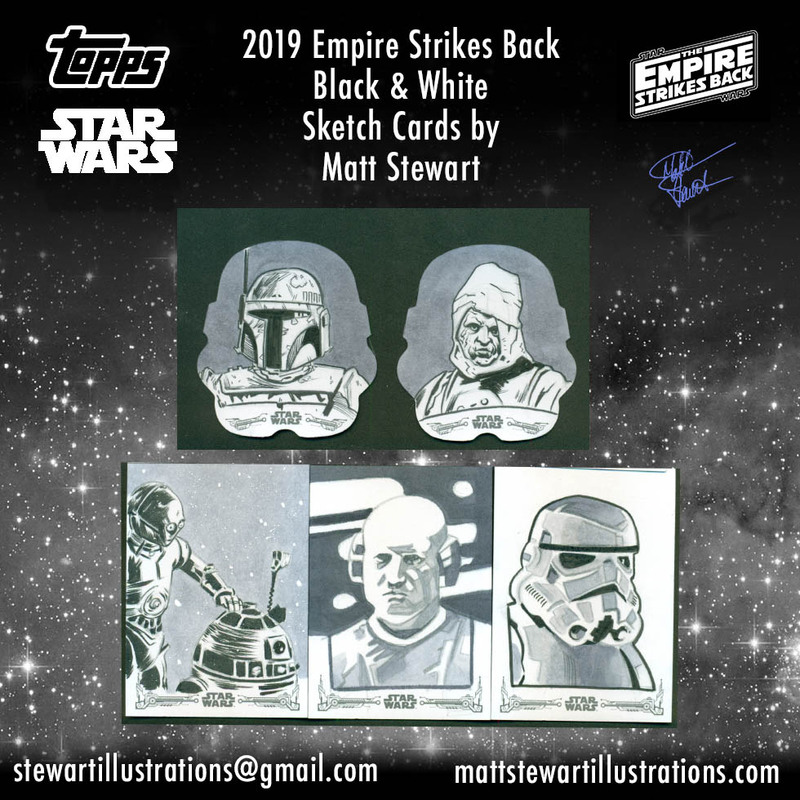 By the end of this year I might be at 20 total Star Wars projects, and definitely well over 20 projects for Topps in all! For this project, the only reference material I had to work from was a magazine shoot and the first two trailers. 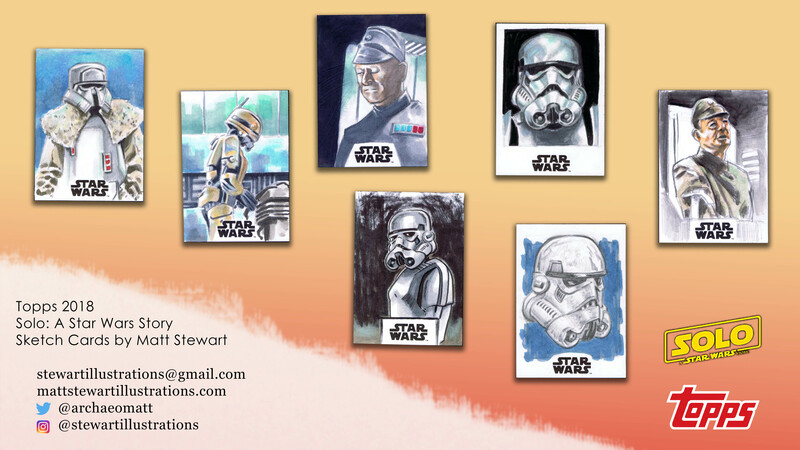 With limited reference material, I only worked on 35 sketch cards plus my returns for this project. I drew pretty much 50/50 main cast versus background characters. 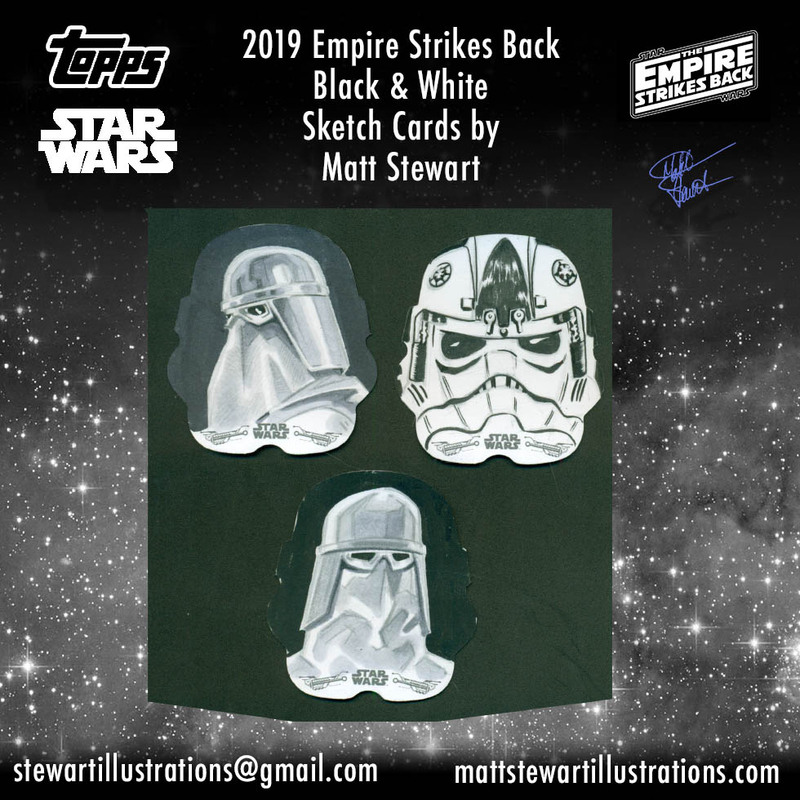 I did take some liberties on the storm troopers, knowing they were in the movie and decided to just draw some as they normally appear in other movies. 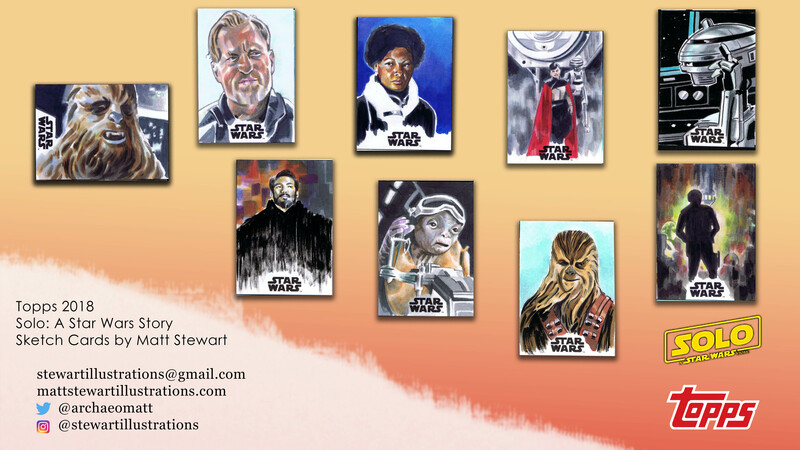 I used acrylic paints on six of this project’s sketch cards, and used acrylics on the backgrounds to all but one of my artist returns. This small sample of acrylics was a testing of the paints for myself. I haven’t used acrylics in a long time and this was a way for me to practice them. Going forward I have a few acrylic paintings in each set. 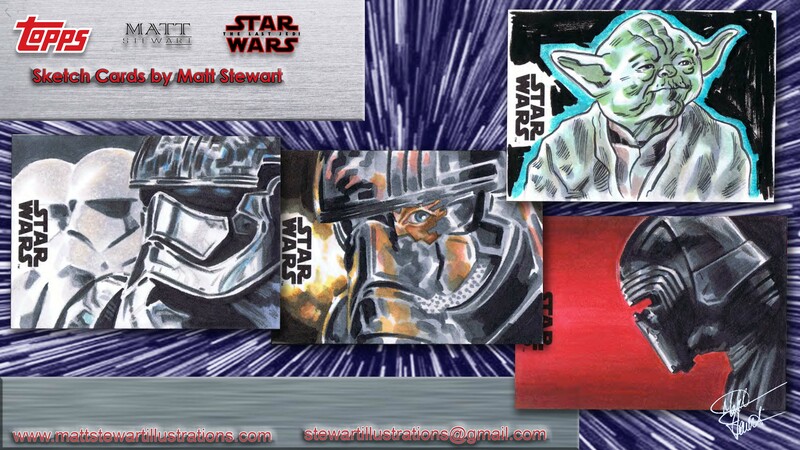 These sketch cards were all created with acrylic paints. 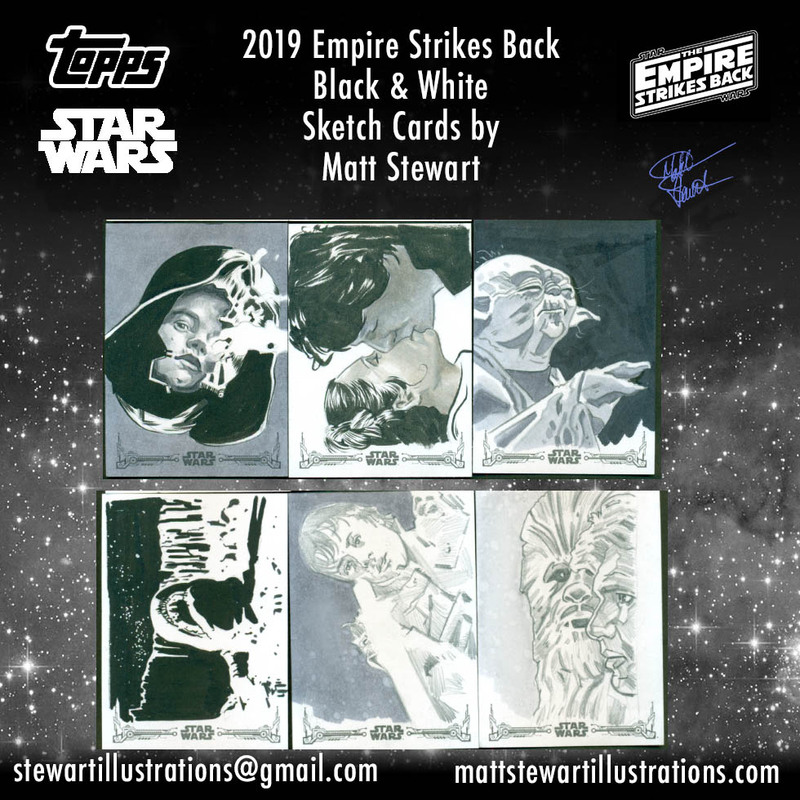 Only a small number of shaped sketch cards were provided for the project, but I did get to retain one as an artist proof! My artist returns for this project. 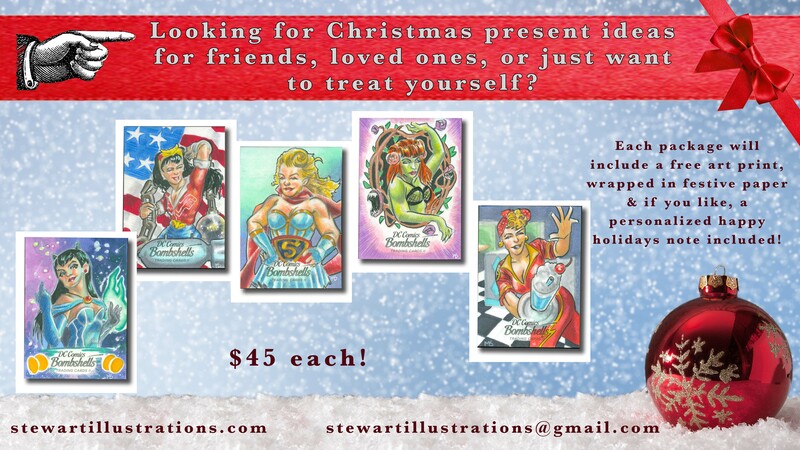 Please contact me to purchase! 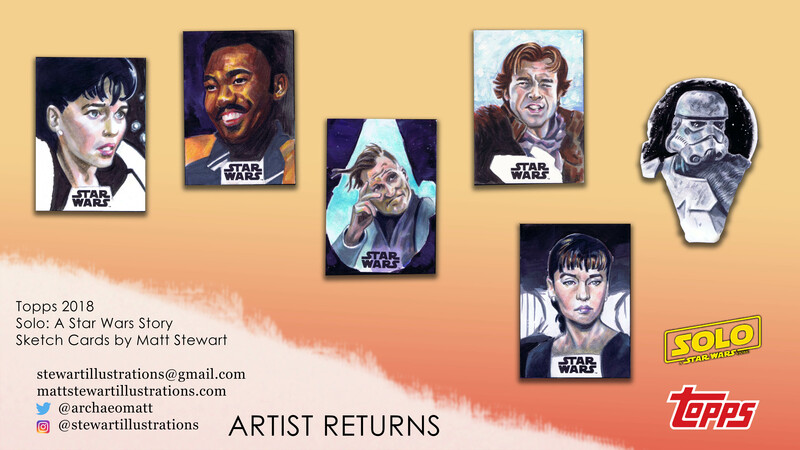 I have six artist returns for sale (pictured above) from this project. 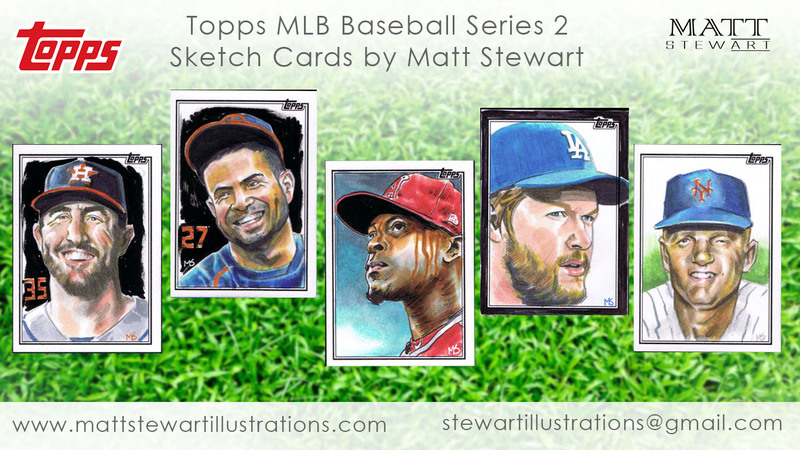 If interested in picking them up, I will be posting them for sale on ebay soon and if you don’t see them there, please drop me a line here! 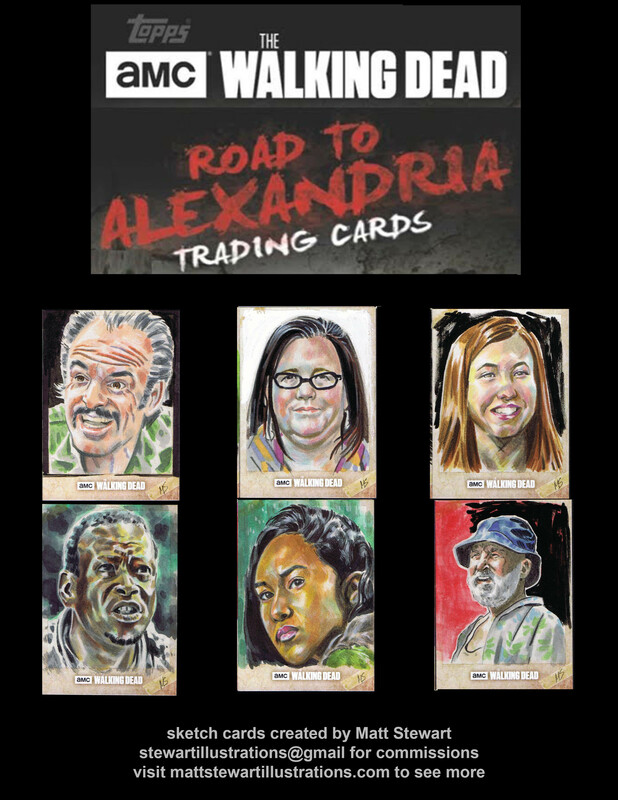 Topps 2018 The Walking Dead: Road to Alexandria is the fourth Walking Dead trading card set I’ve had the pleasure of working on! I am a huge fan of the TV show and greatly enjoy drawing some of my favourite and most hated characters from the show. 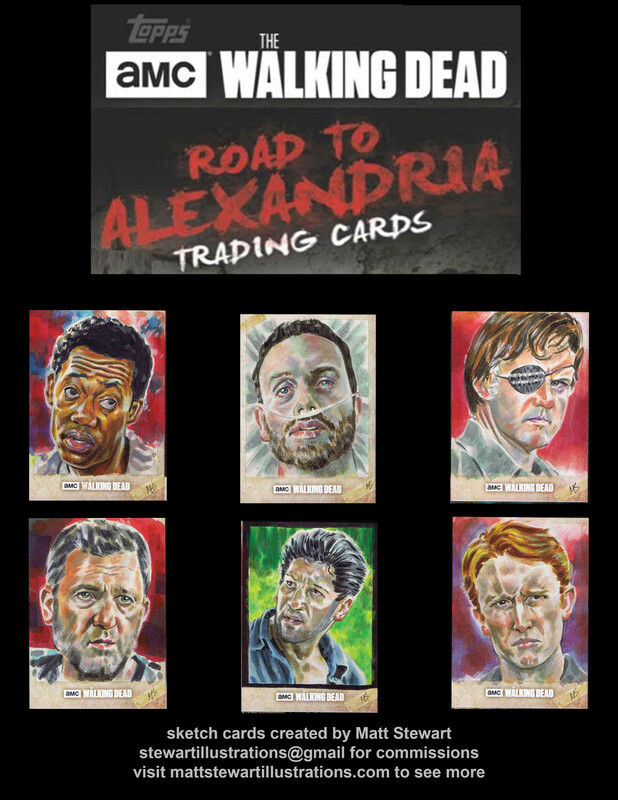 This time around, the Road to Alexandria set allowed me to draw from any of the characters from the past 8 seasons of the TV show, plus a select few Walkers. Since I could draw characters from the past 8 seasons of the Walking Dead, I decided to forego drawing Walkers and focus on cast members. I also stepped away from doing some of the current and recent main cast as I had already drawn many of them in the last few projects I had worked on. 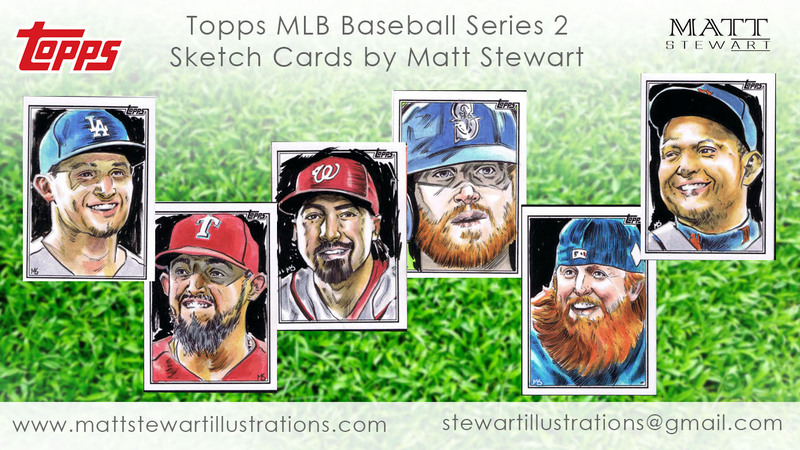 Above and below are some 18 examples of the sketch cards I created for this set. 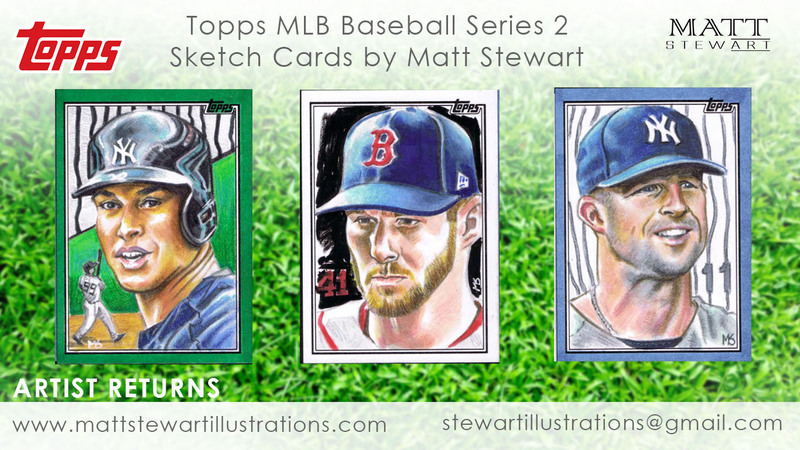 I stuck with the same methods I have been using in previous sets, with using Copic markers and oil based pencil crayons over top. 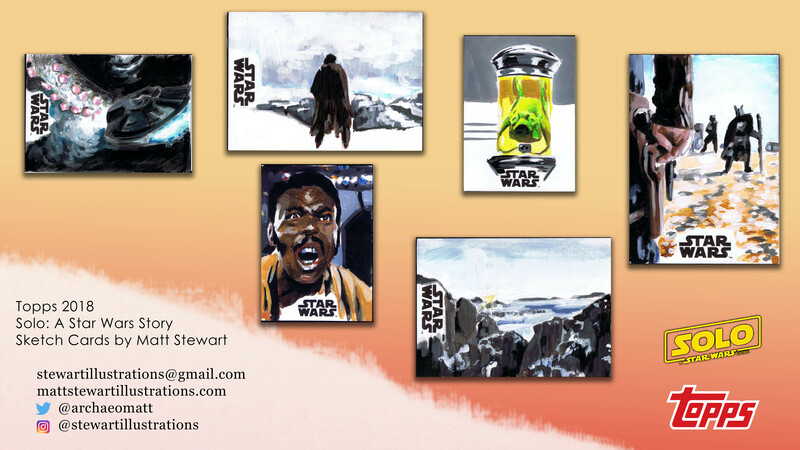 On a few, however, I also used black india ink and the white backgrounds on cards like the Olivia below were created with brushed acrylics. 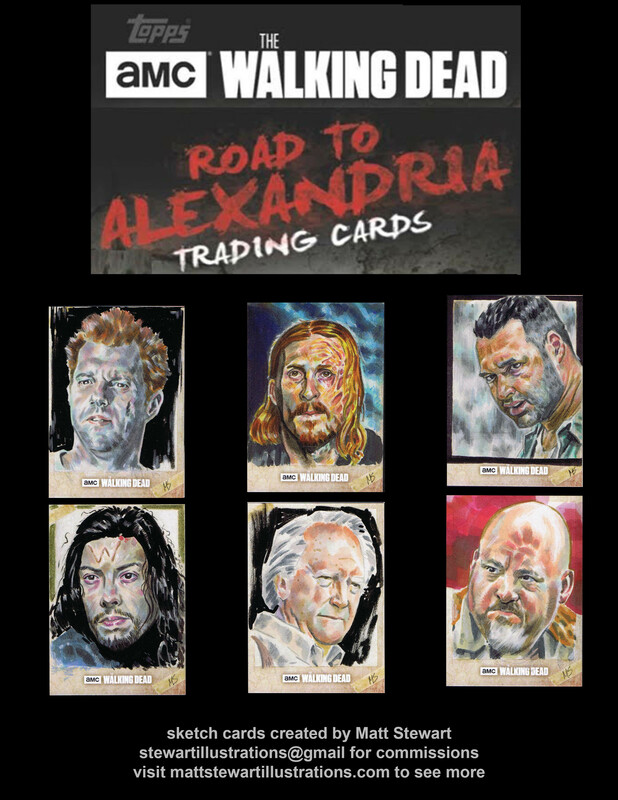 Do you have a favourite Walking Dead sketch card I’ve drawn or is there a character that you haven’t seen me draw before? Let me know down below in the comments section!